Depending on the registration numbers we may combine the 7 and 8 year olds into a single league. This is a 'regular' machine pitch league. 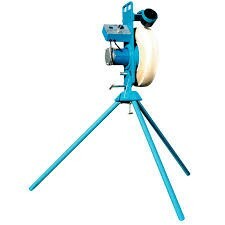 This means that players hit only pitches from the machine. There are 10 defensive players on the field at one time and the coach is responsible for distributing playing time equitably between infield, outfield, and the bench for all players. The entire line up hits at this level as well. Evaluations are held in early March in an attempt to competitively balance the teams. Teams are selected through a draft process with the evaluation information available to all coaches. Practices begin immediately and depending on the calendar the games generally begin in mid-April and run through playoffs in mid-June. An "All Star" team is selected during the season to participate in a few local tournaments. More information about All Stars is available from the coaches.